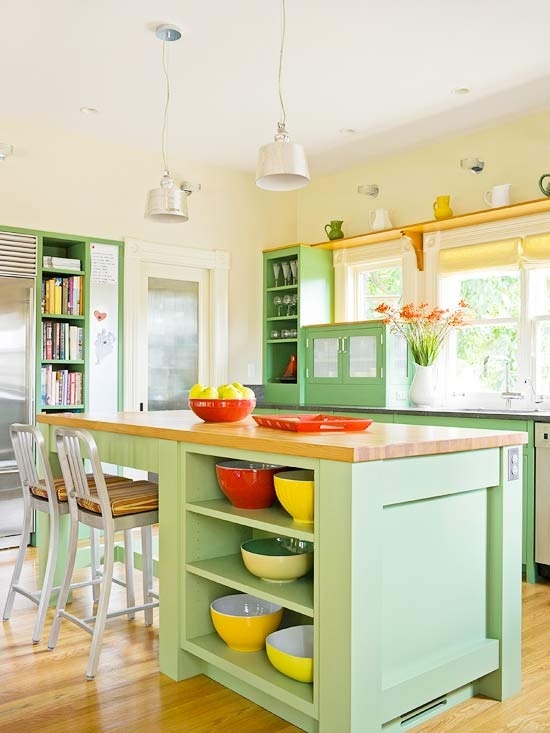 I know how we all love our kitchens but sometimes we enjoy changing things up a bit…maybe with a fresh paint treatment to the cabinets…a new color for the walls…wallpaper on the soffit or maybe the addition of bead board! 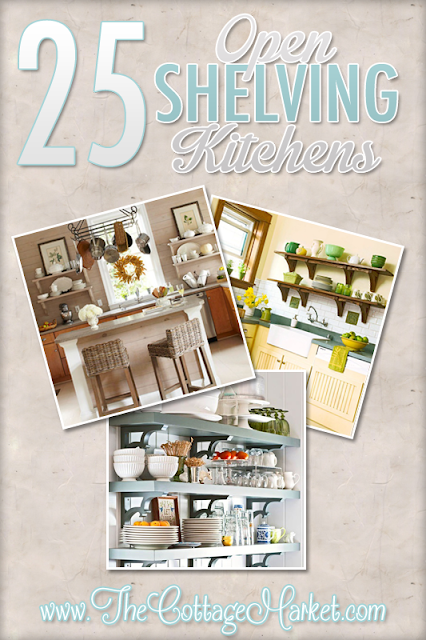 Open Shelving Kitchens and many options that you may enjoy to achieve that look! 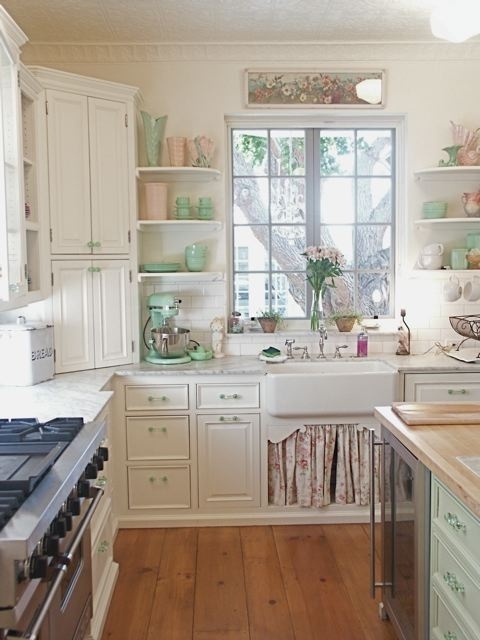 One of them just might give you the inspiration for a little change in your own kitchen! 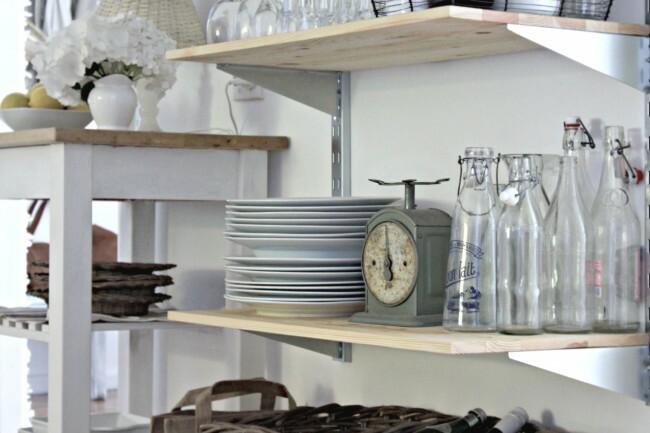 Simple shelving to hold and display every day items can be so pretty in its simplicity! 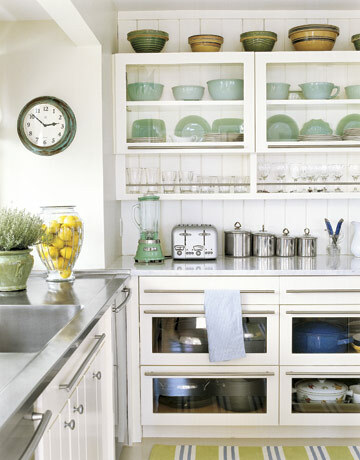 Also it is so easy to do and inexpensive. 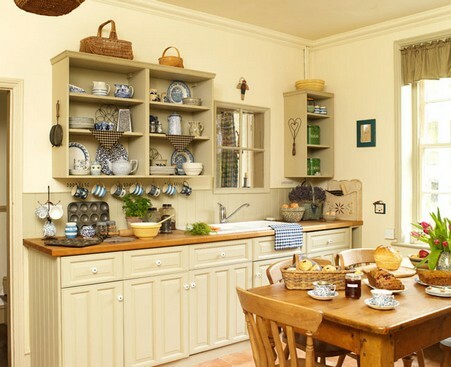 By simply removing one cabinet door you can create a perfect area for displaying your special pieces and you can also do themes through out the seasons. 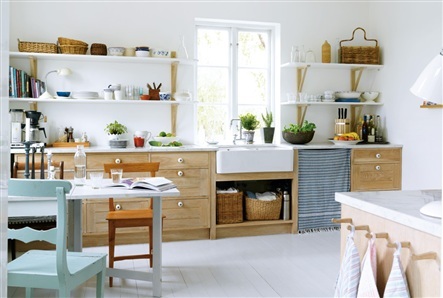 Open and airy…you can literally change the look of your kitchen with what you display in your open area.! 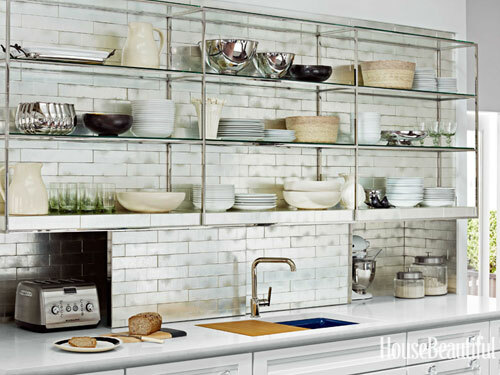 Open shelving adds so much to the decor of a room. 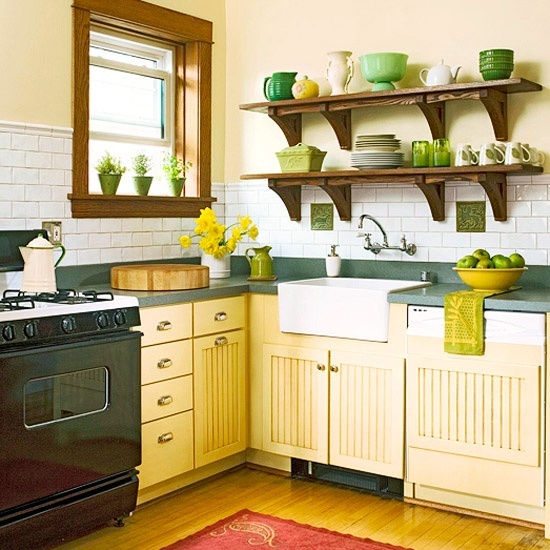 A very sleek look and there are many options open to you if you want to mix things up by adding a few cabinets above. 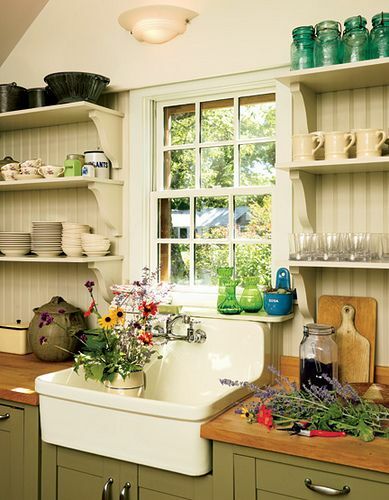 This such a cute…cottage…kitchy look! 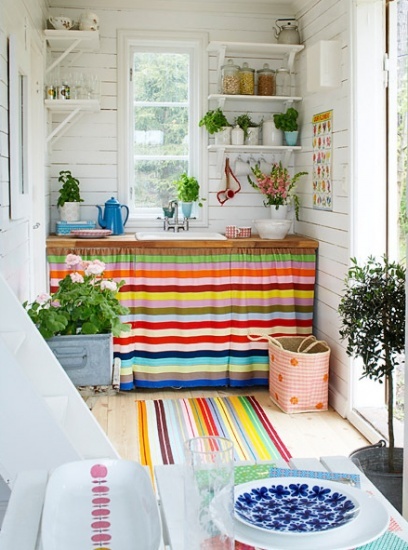 No link …can’t even give you the pin…believe me…you would thank me for not sharing it…esh! 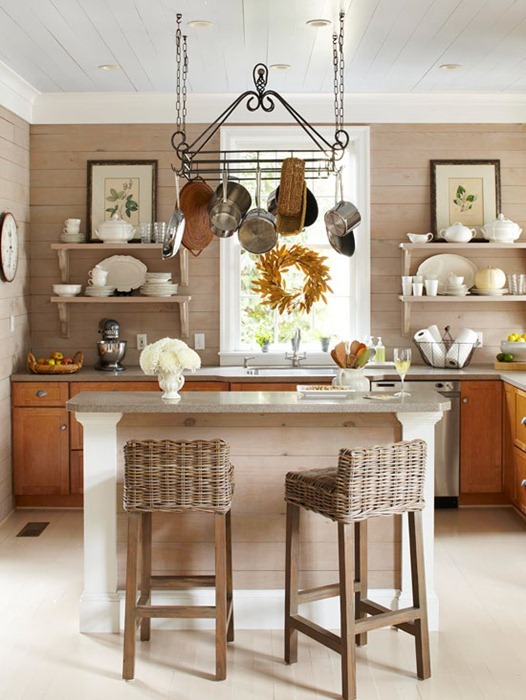 Love this farmhouse look…the addition of shelving and bead board add so much character to this kitchen! 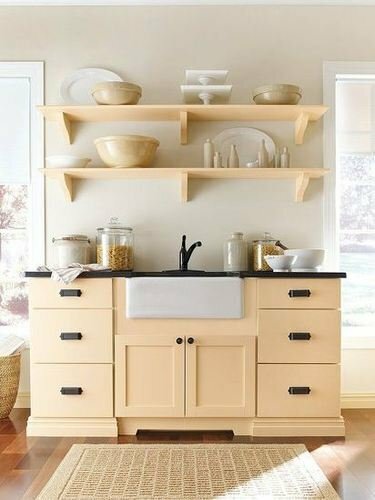 I love the small additions of open shelving combined with traditional cabinets…the touch of bead board in a creamy hue is sheer perfection! 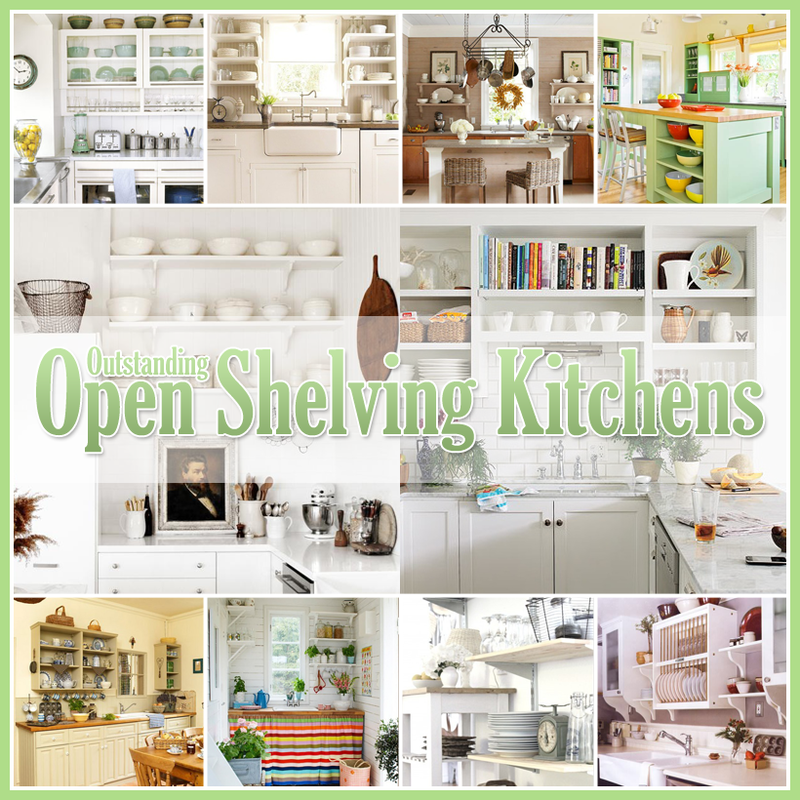 Open shelving but if you grow tired of it…doors are easily added! 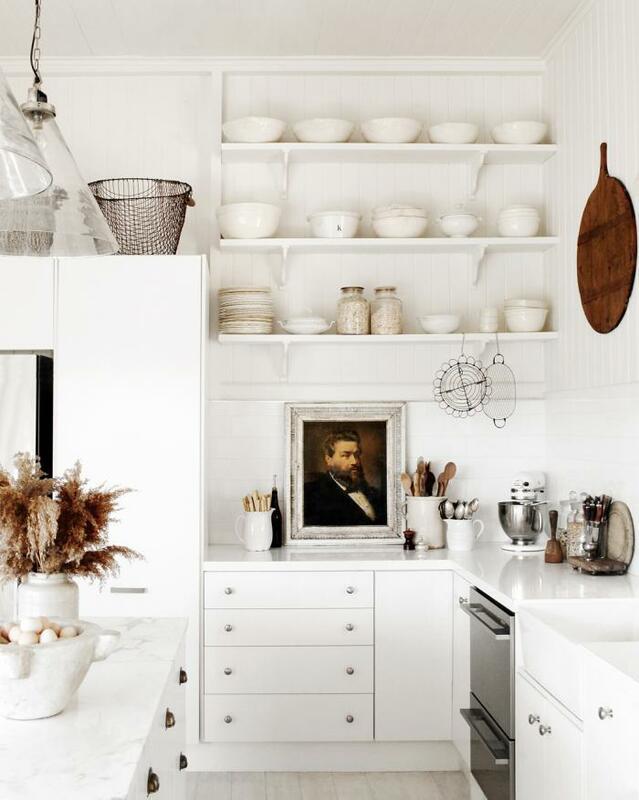 I have to say that I LOVE this and the addition of fine art is so unique and unexpected…awesome! 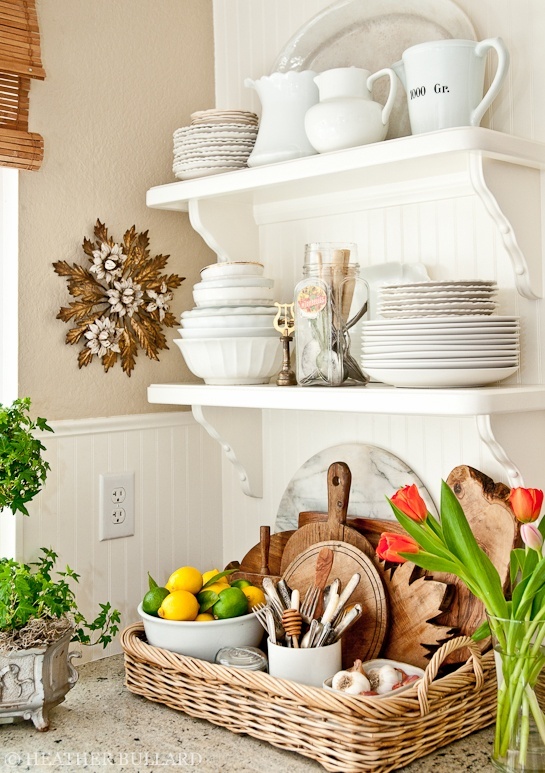 This arrangement looks fabulous!…I totally feel as though there should be no open shelving in the area of the stove…so this is a perfect place. 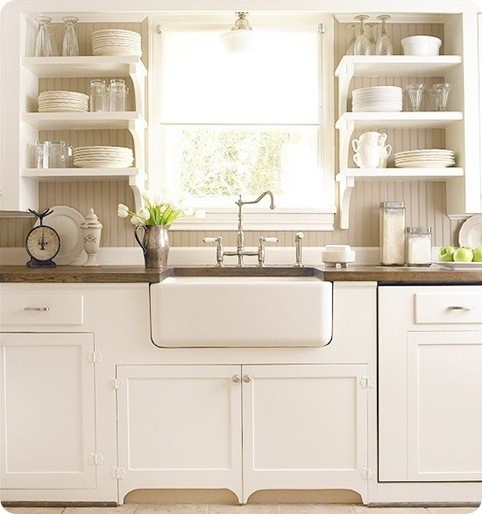 I love the little open spaces blended perfects with traditional cabinets. 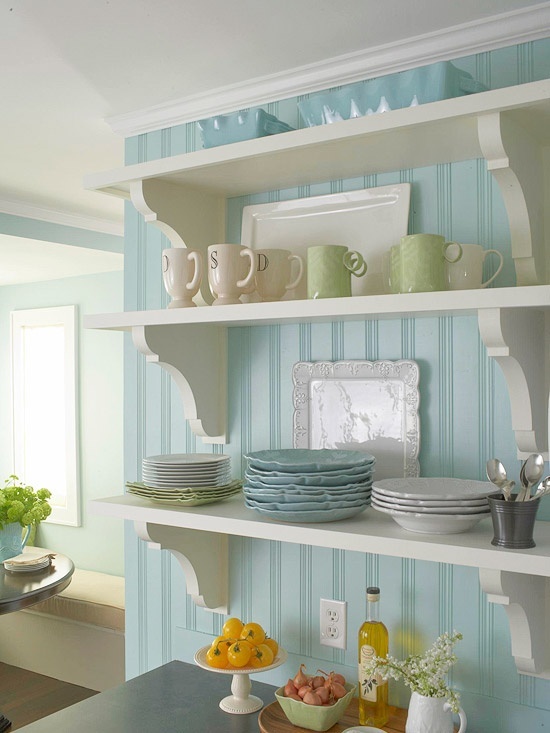 A Beach Cottage sure knows how to style with open shelving! 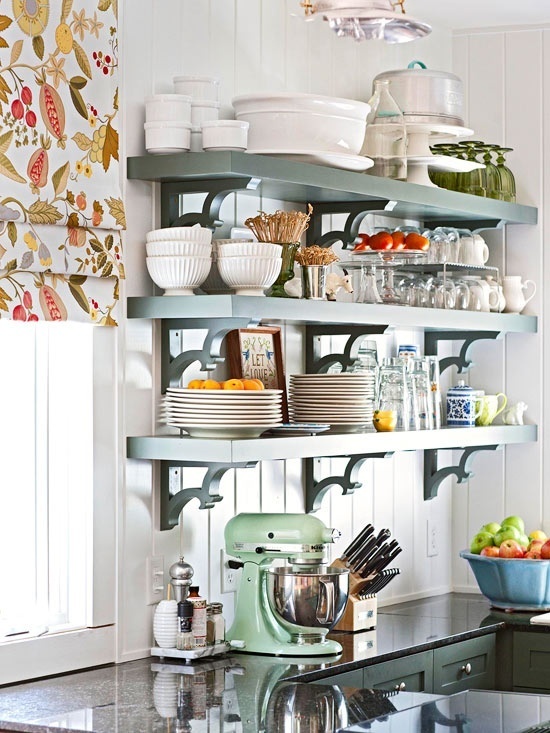 I think it was the awesome dresser gone coffee buffet that drew me to this open shelving space…but the shelves work perfectly! 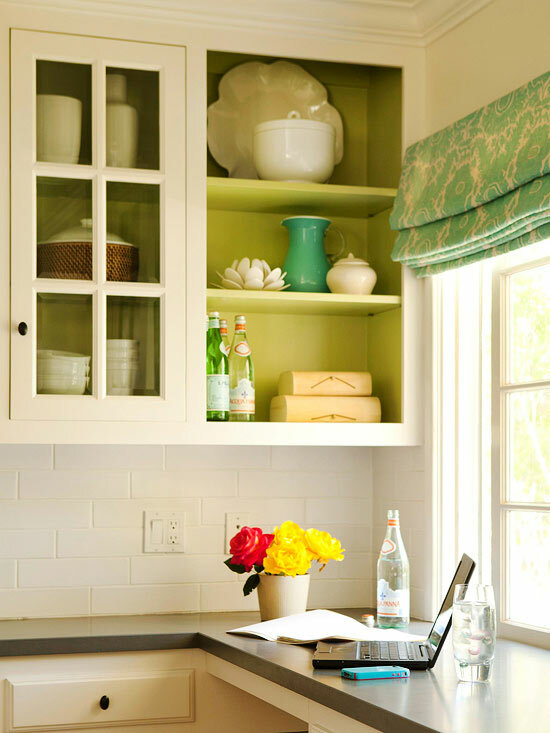 The open shelving allows so many possibilities for a pops of color…displaying special items…easy access and so much more! 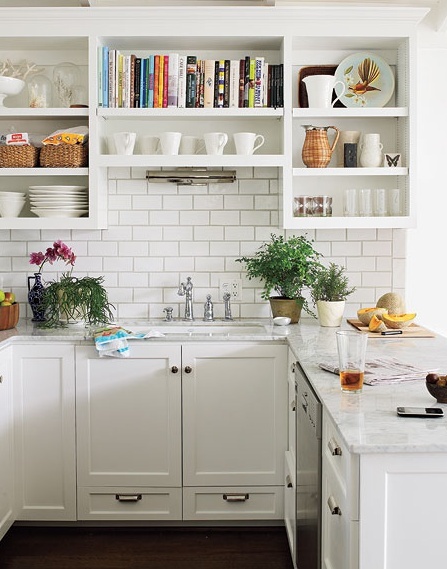 Love this clean look…a brilliant idea to use some of the area for books! 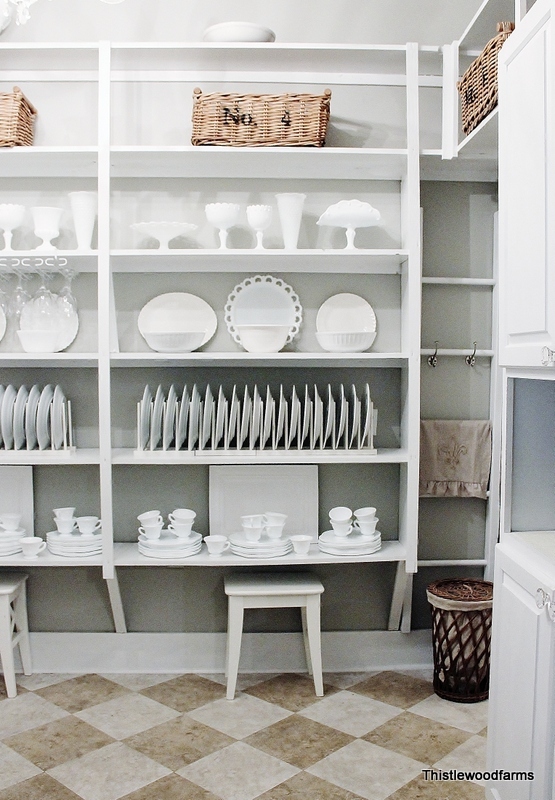 Once again…if one gets tired of the open space…cabinet doors can easily be added. 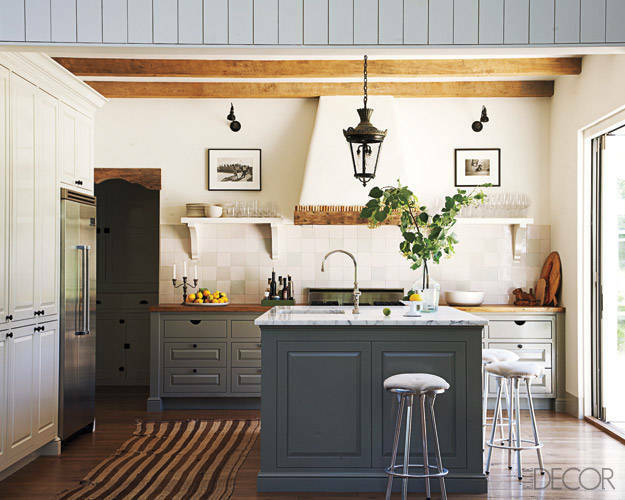 for the entire feature on this gorgeous kitchen! 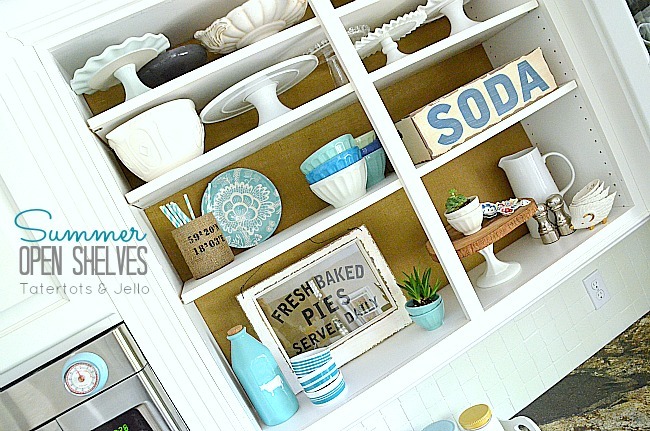 Jen over at Tatertots & Jello seems to have joined the open shelving fan club and wow does it look fabulous! 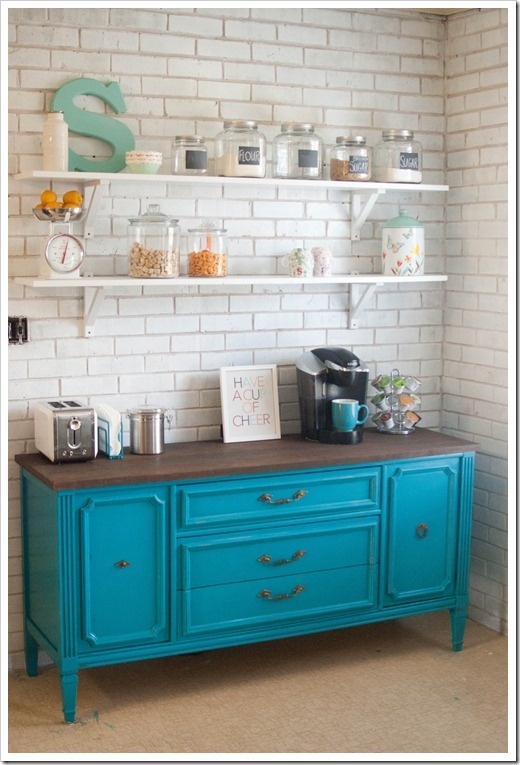 There is a full diy here…so if you are in love with this one…check it out! Hope there is a little bit of inspiration here…that is what these posts are about…you just never know when you are going to see something that lights a fire in the creativity area! Hey there my friend…with your style and imagination…you can even make a sippy cup look FABULOUS!!!! and in your kitchen…that can happen!!!! hugs and have a great weekend! 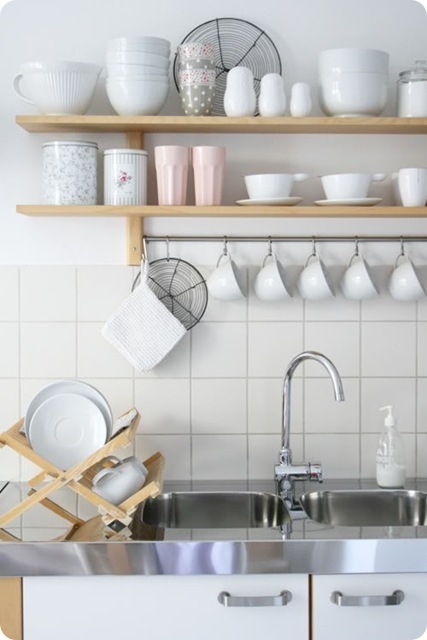 Bellissimo il tuo post pieno di meravigliose idee! Such great inspiration Andrea!! 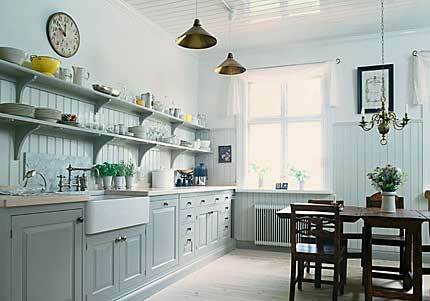 You have me dreaming of our kitchen remodel down the road. 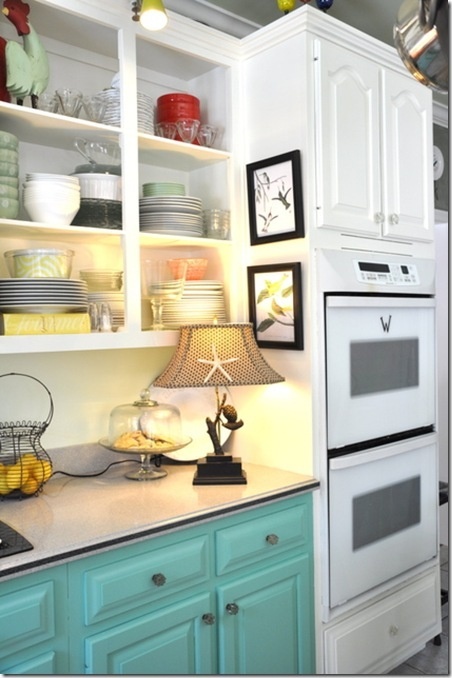 Thank you so much for the awesome eye candy. Hugs and love to you all up there!! !